If you are already in business and you are thinking of promoting your products or services online, one of the first questions you have to ask yourself is “Do I have a product I can sell online?” This question is at the very heart of the decision whether or not to try online marketing and reach local customers. Most of the problems with products are the result of delivery issues. Either your product must be delivered within a narrow time frame (like pizzas and fried chicken), or it is too fragile or too large to be economically delivered, or there is not enough profit margin built into your pricing to allow for delivery. 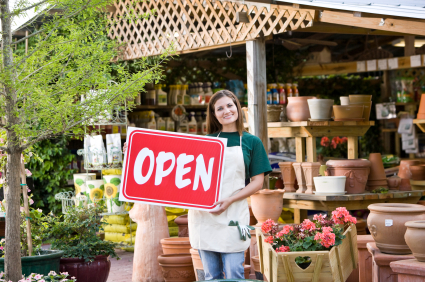 Most local businesses address these issues by a combination of strategies. Either they do not provide delivery, or they charge for it, or they will deliver only within a narrowly defined geographic area. This question will take different forms for different products and services. If your business is selling specialty household items like custom made candles, the chances of modifying your current sales approach to reach a broader online market are pretty good. But if you sell a service like pool cleaning or home renovations, your online objectives will probably be different. Unless you are prepared to travel hundreds of miles to perform your services, you are probably only interested in reaching local prospects. Well, it depends. Obviously if your marketing efforts were free there would be no question. You should just go ahead and do it. But your marketing efforts will not be free. To do effective online promotion you will have to create a website, create some sort of online marketing program, and then have the response system in place to answer customer inquiries and take online orders. None of this is free. Most of the costs will be in designing and creating the website. But there will be ongoing costs for regular marketing efforts and online advertising. Absolutely! It is important to realize that you will be wasting your money if you just set up a website and expect customers to flock to it. It just won’t happen. You need an ongoing marketing effort that includes, as a bare minimum, Search Engine Marketing and probably Pay Per Click Advertising. Probably not in the short term. You will probably not gain instant recognition or instant clients. But a concerted, sustained effort over a 6-18 month period will help you create a web presence in your community and establish you as one of the leaders in your area. And that will result in sustained and lasting results which should eventually translate into sales. Remember, users are using Yellow Pages less to search for local businesses, and instead are turning online to find the businesses they need. You need to be online if you want them to find you.